The thumb compass is a funny little esoteric piece of gear that’s slowly earned my respect over the past few months. I was first introduced to the concept by an orienteering acquaintance who could run through the woods like a deer, jumping logs, dodging branches, skirting swamps, all while reading a detailed map and taking quick glances at the small thumb-mounted dial. 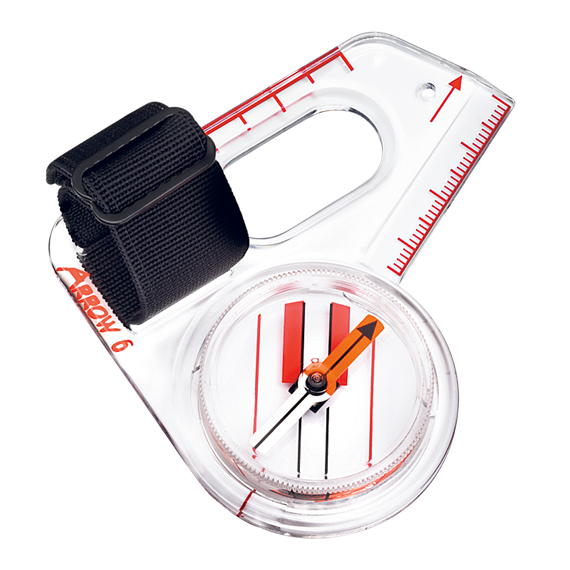 Developed for the sport of orienteering, thumb compasses have irregular, angled base plates and lack most of the directional and bearing markings found on a traditional compass. They cinch onto your thumb with a tab of elasticized webbing and stay there safe and secure as you run along. A quick-swinging, highly-sensitive needle points north with no hesitation when the compass is righted parallel with the horizon. My favorite thumb compass is the Silva 6Jet, a model that comes in right- and left-hand versions. Its simple design includes a transparent base plate with an elastic thumb loop, a subtle scale ruler and a colorful dial. Unfortunately, the Silva 6Jet is a hard compass to get your hands on in the United States. Mine was a gift from a Swedish orienteering friend. The Suunto Arrow 1 Thumb, another model I’ve been testing this summer ($55), has a quick-dampening needle like the Silva model. 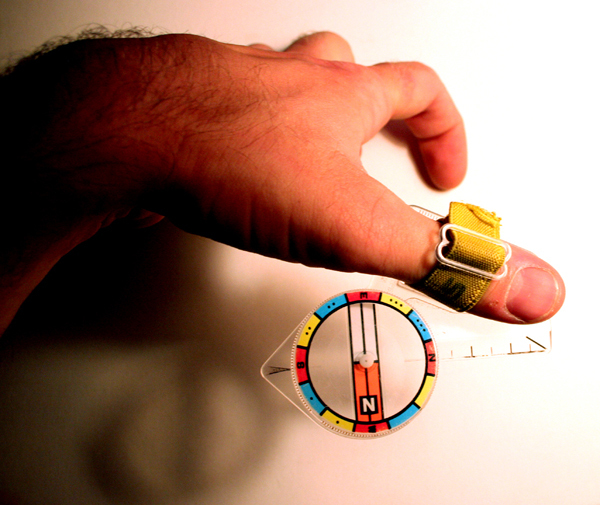 Its basic form and function as a thumb compass are the same as well, though there are a couple major differences. Suunto does not include any markings on the dial. The needle points north and that’s all this compass will tell you, which is fine for any experienced navigator. Some people would see the markings on the Silva 6Jet and Brunton 6Spectra as superfluous, in fact. 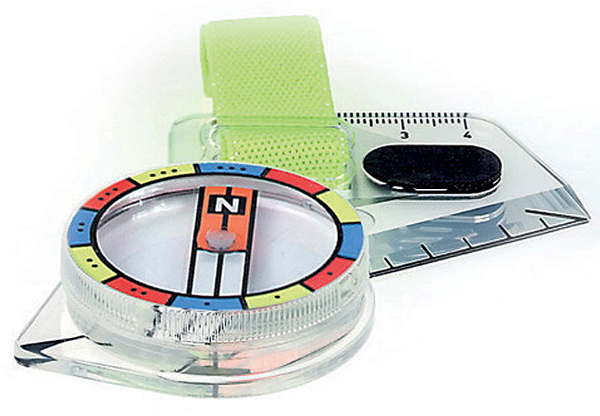 With no markings, the transparent compass provides an unencumbered view of cartographic detail when set on the surface of a map, save for a couple thin directional lines and a scale. The dial of the Arrow 1 Thumb spins for aligning the compass to a bearing on a map and following that degree in the backcountry. 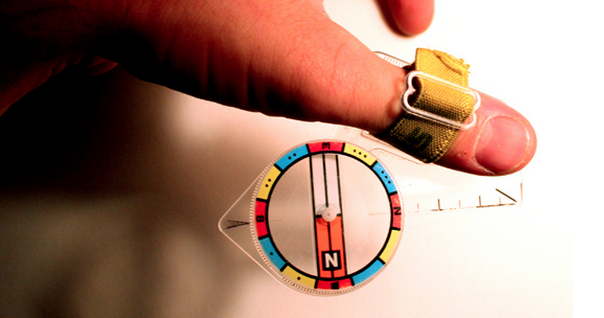 Beyond orienteering, I’ve used thumb compasses for hiking, mountaineering and adventure racing. Indeed, I rarely bring a regular compass along anymore. Thumb compasses are simple and convenient, and for me they have become the tool of choice for fast, accurate wilderness navigation.